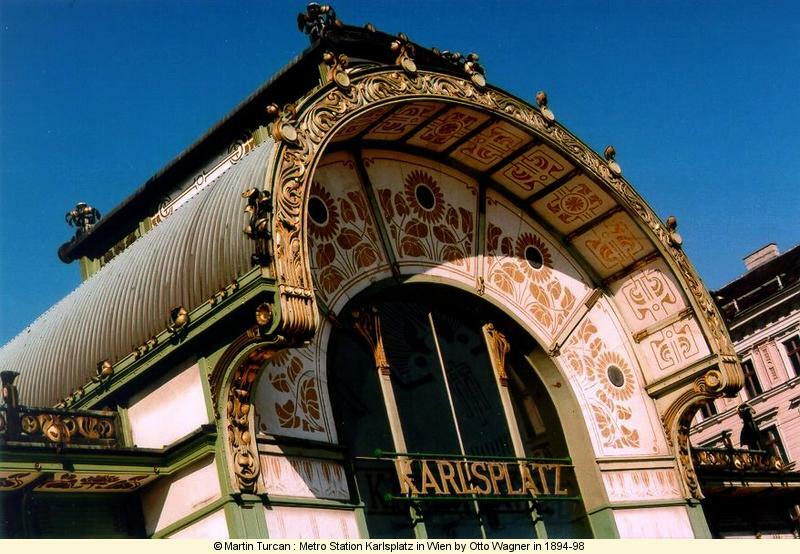 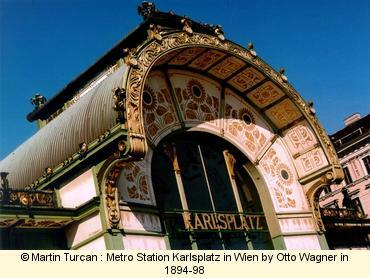 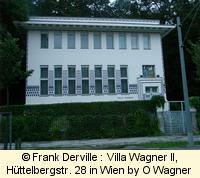 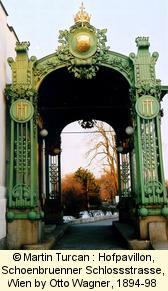 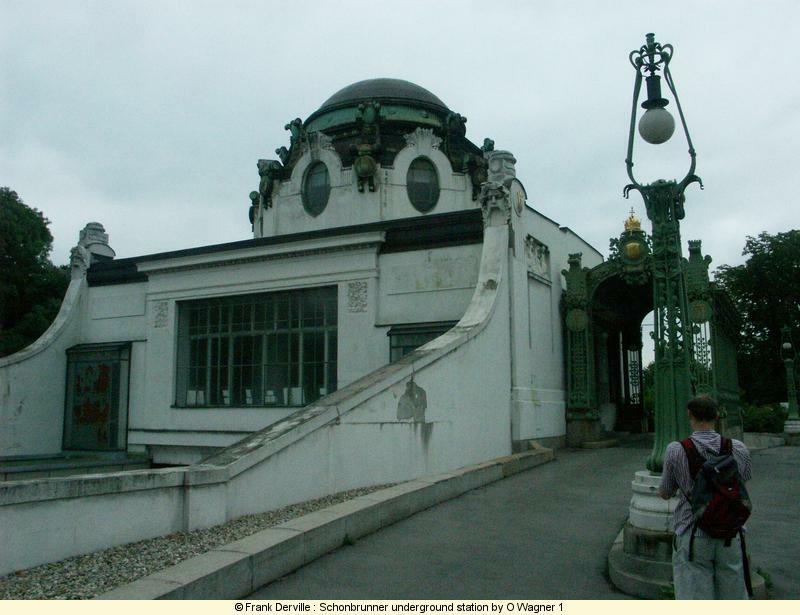 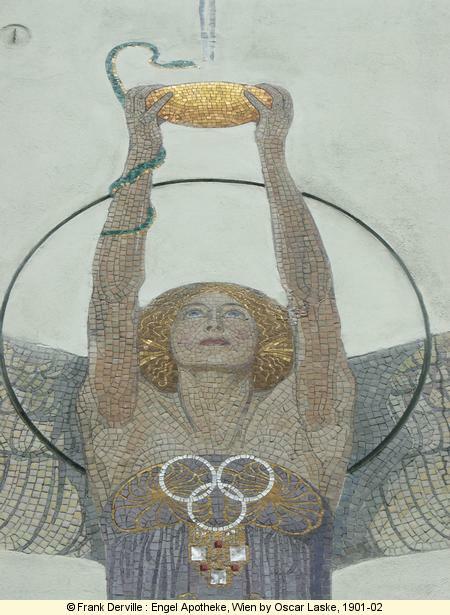 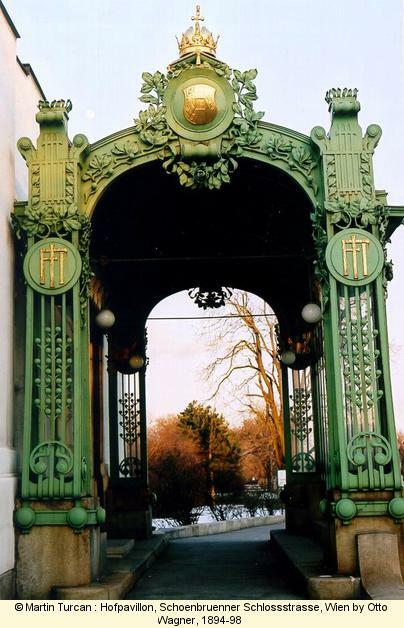 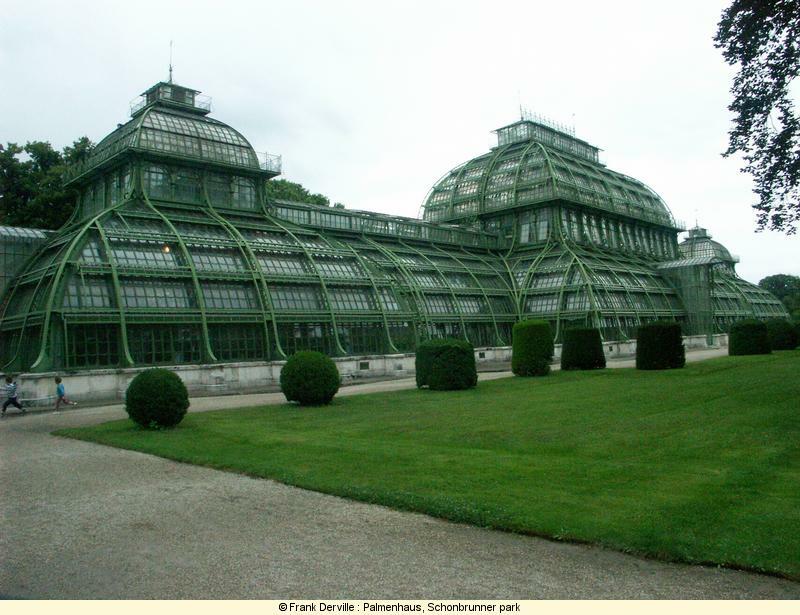 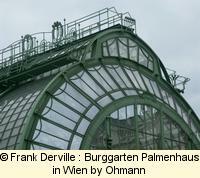 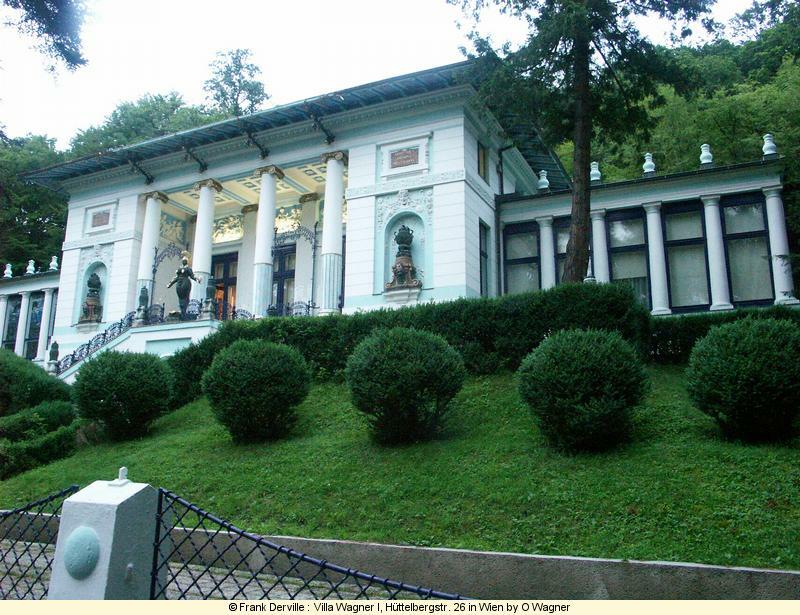 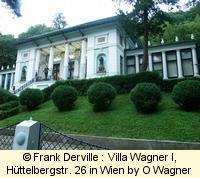 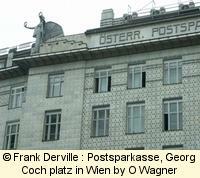 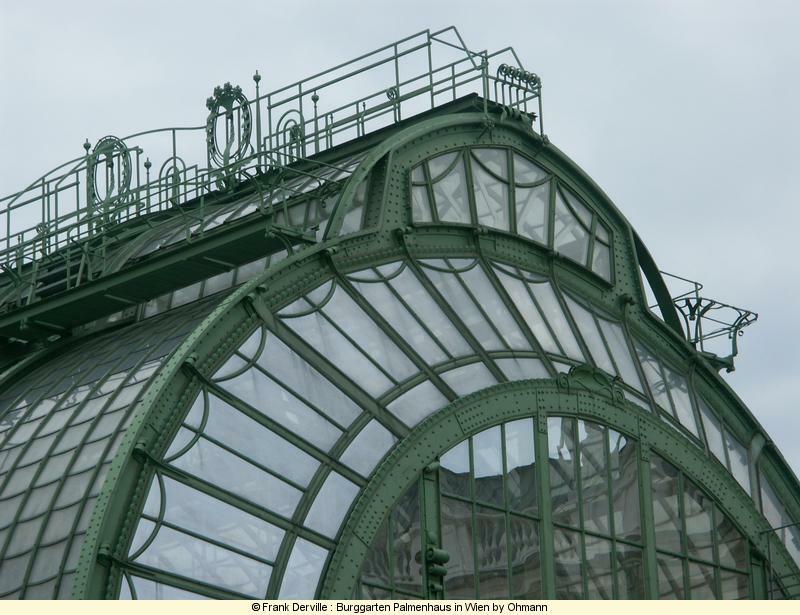 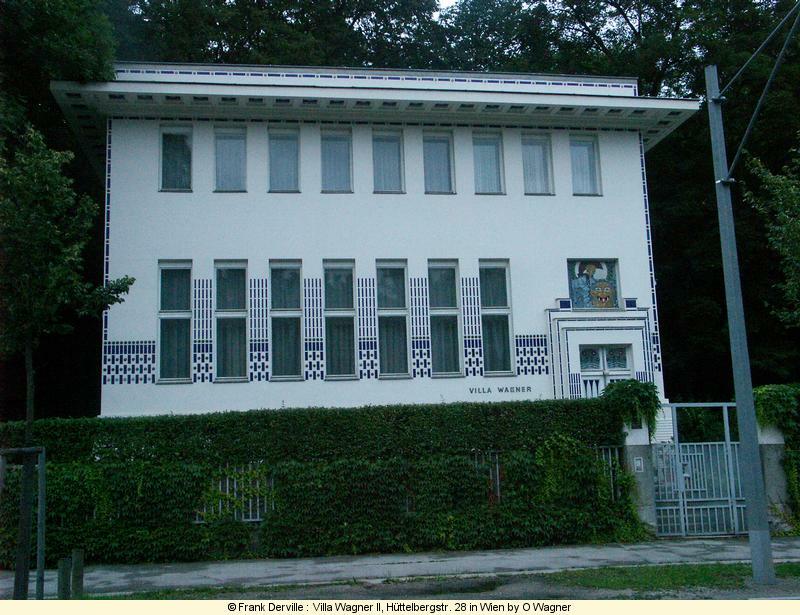 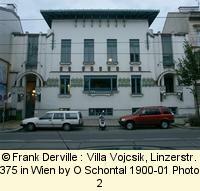 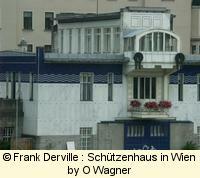 Otto Wagner is the most well known architect of Austria. 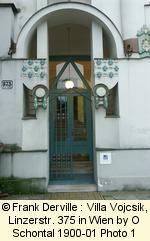 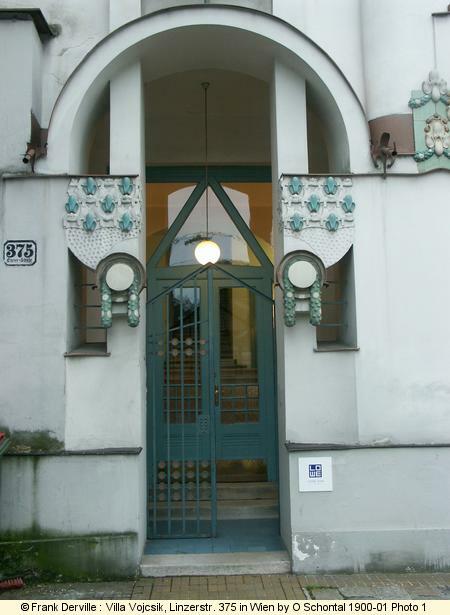 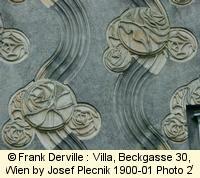 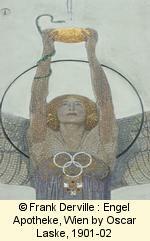 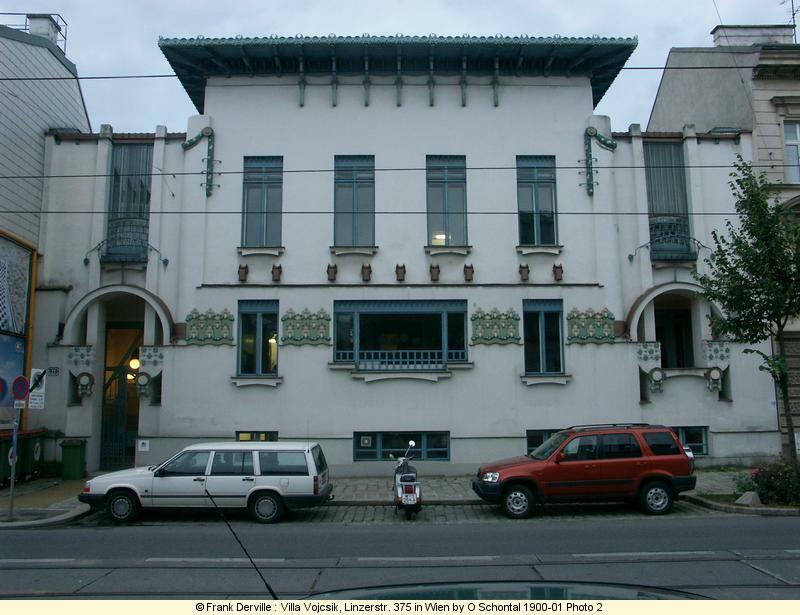 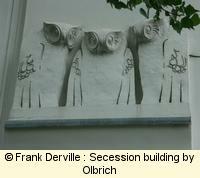 As a teacher at the architectural school, he introduced the Art Nouveau/Secession style and diffused it to his pupils. 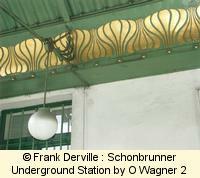 His masterpieces are famous : the underground stations (particlarly those of Karlsplatz and Schonnbrunn), the houses in Linke Wienzeile, the central post office. 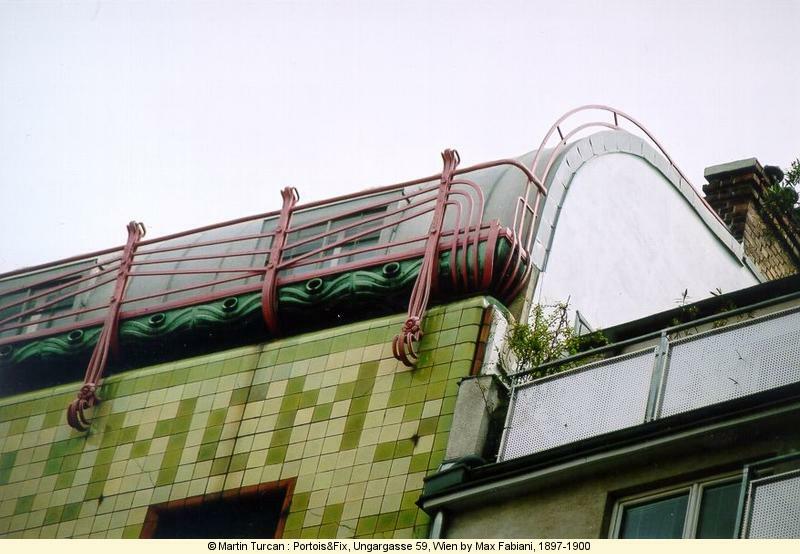 His first designs melt eclectism and rationalism with large glass roofs and steel. 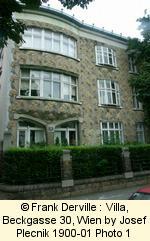 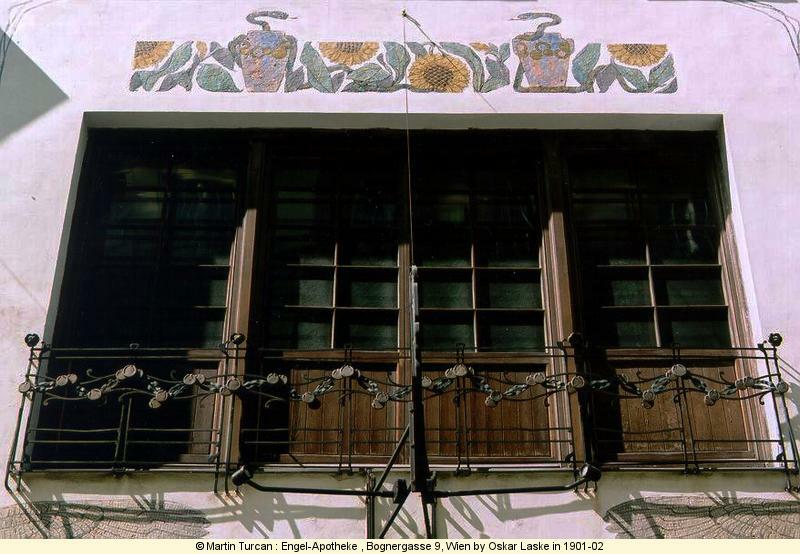 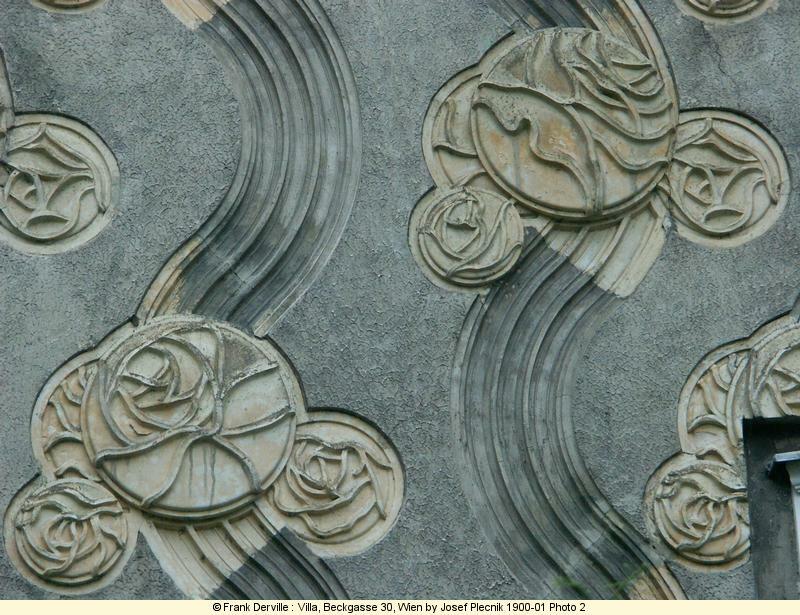 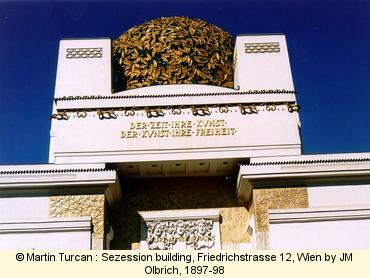 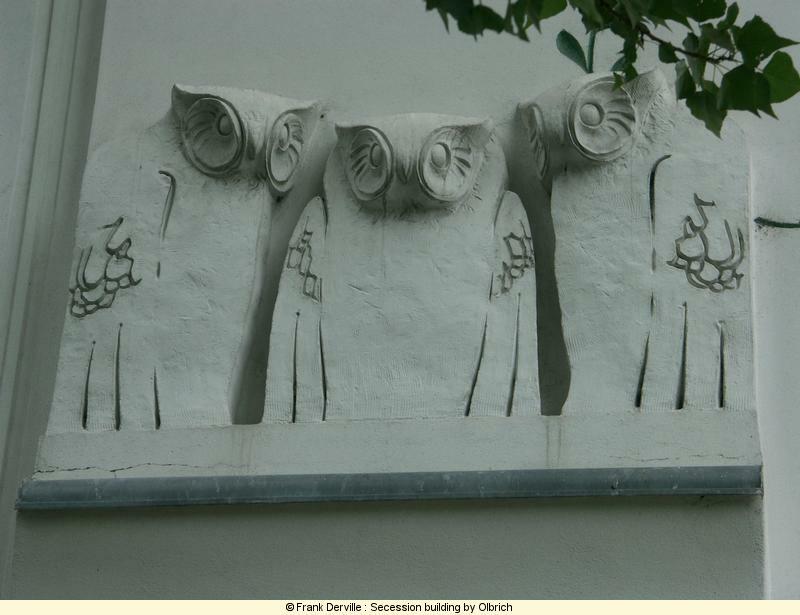 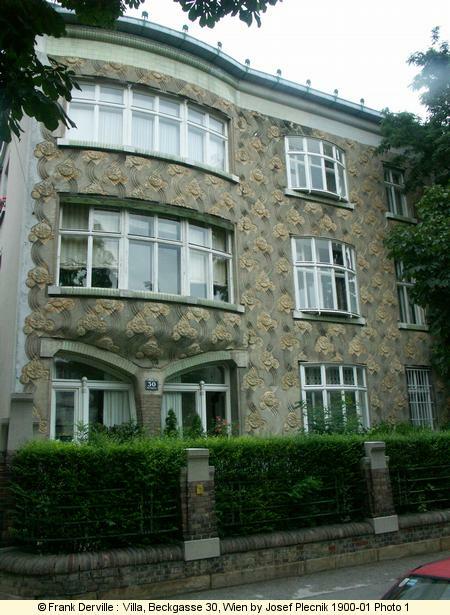 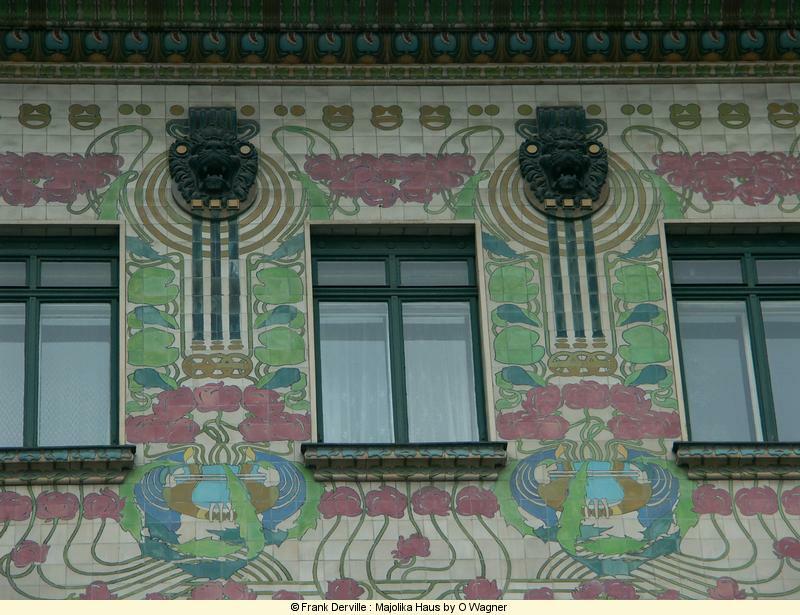 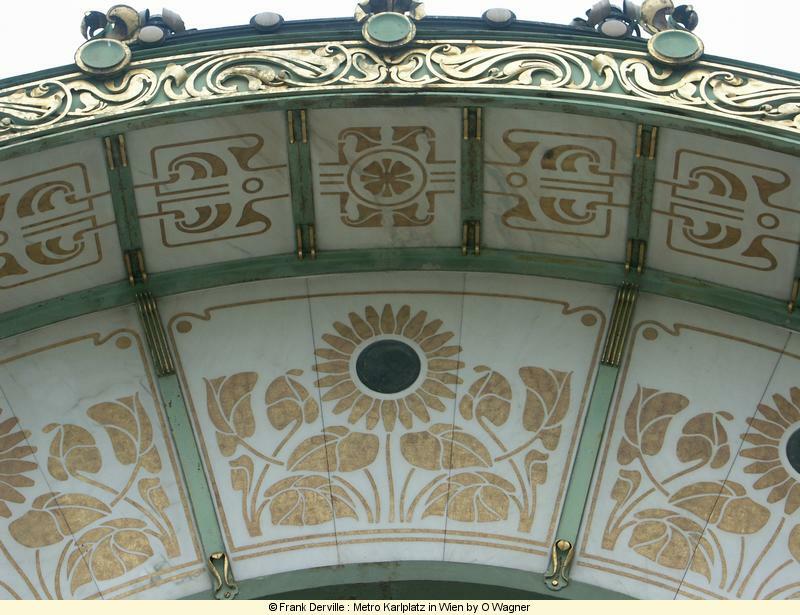 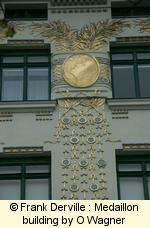 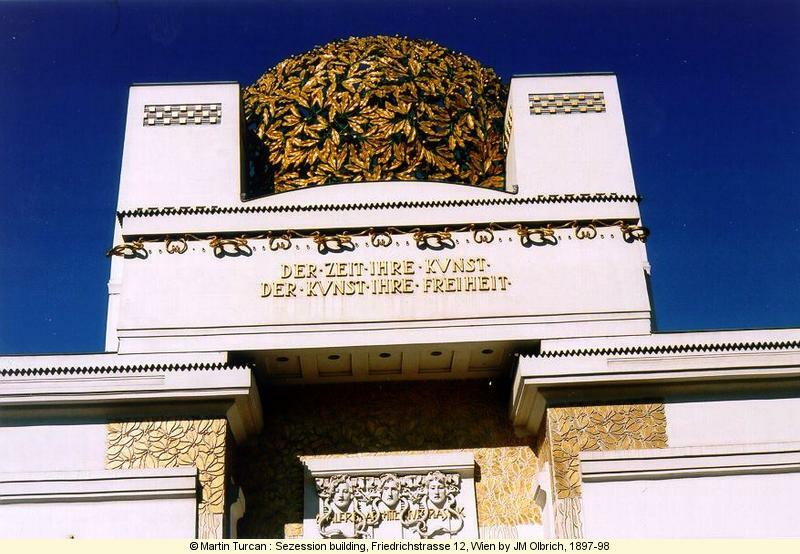 Around 1900, he introduced Secession patterns and stressed on the building decoration. 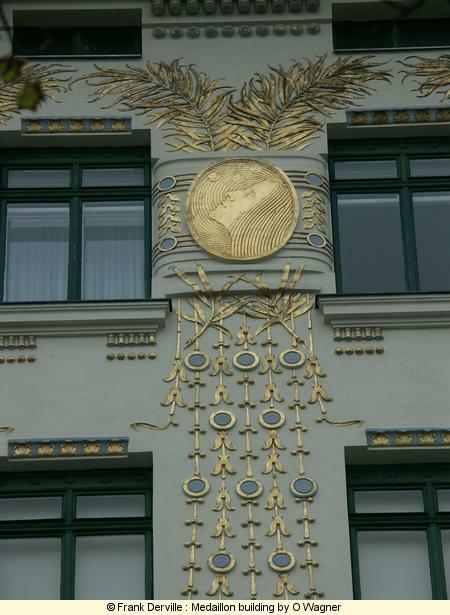 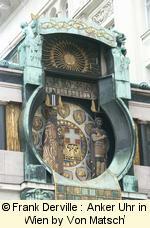 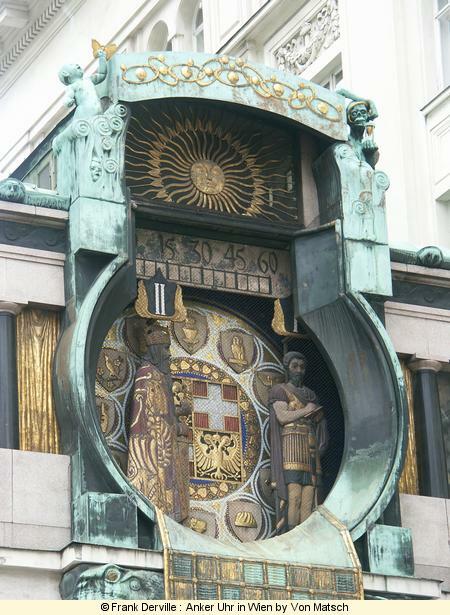 In the 1910, the decoration integrates itself in the building structure. 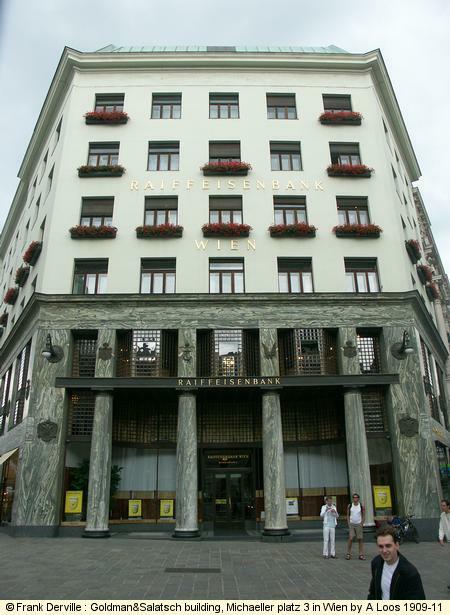 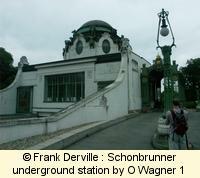 These are the two most famous works by Wagner for the underground : Hofpavillion Schönbrünn and Karplatz. 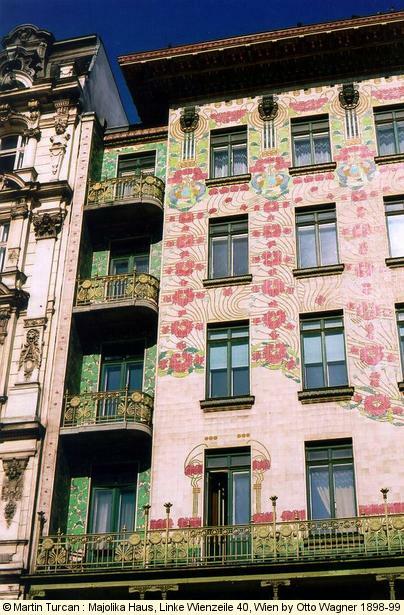 This building is the most "tattooed building". 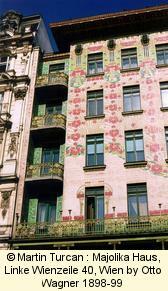 Various details of this magnificiant building with mosaics. 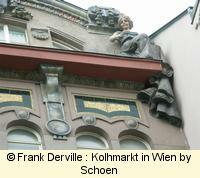 The decoration fits well with the destination of the shop : two chemist allegories. 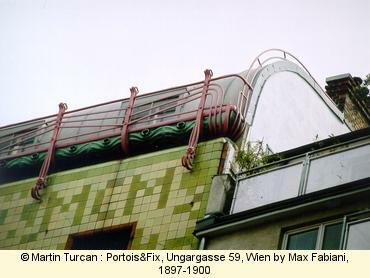 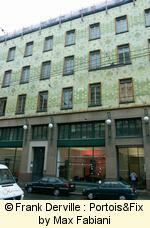 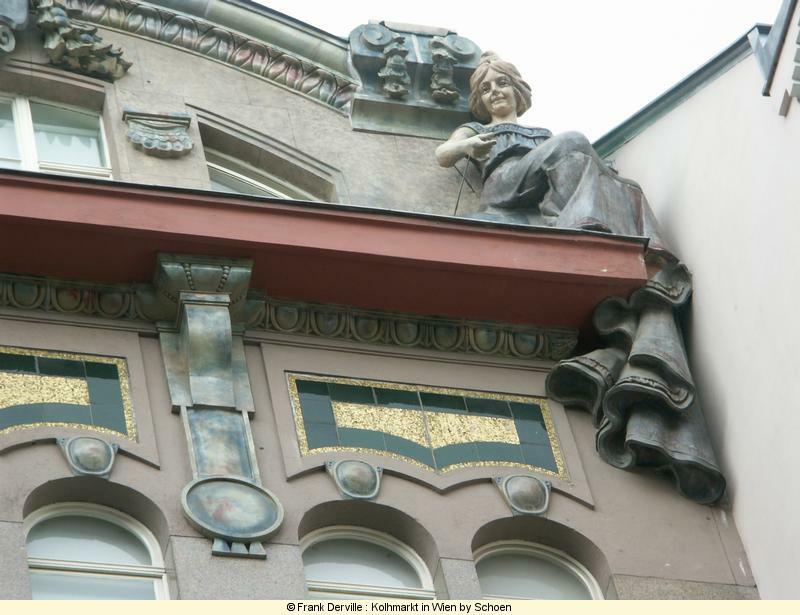 Potois & Fix is one of the most famous ceramics covered building of Vienna. 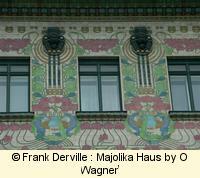 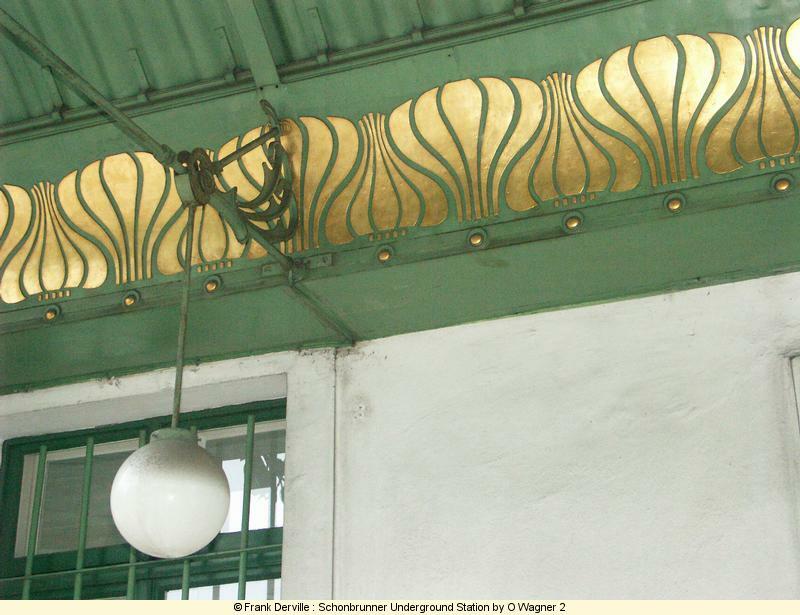 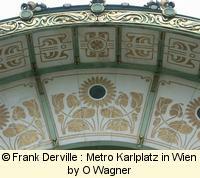 Its decoration is much more geometrical than the Linke Wienzeile, 40 by Wagner. 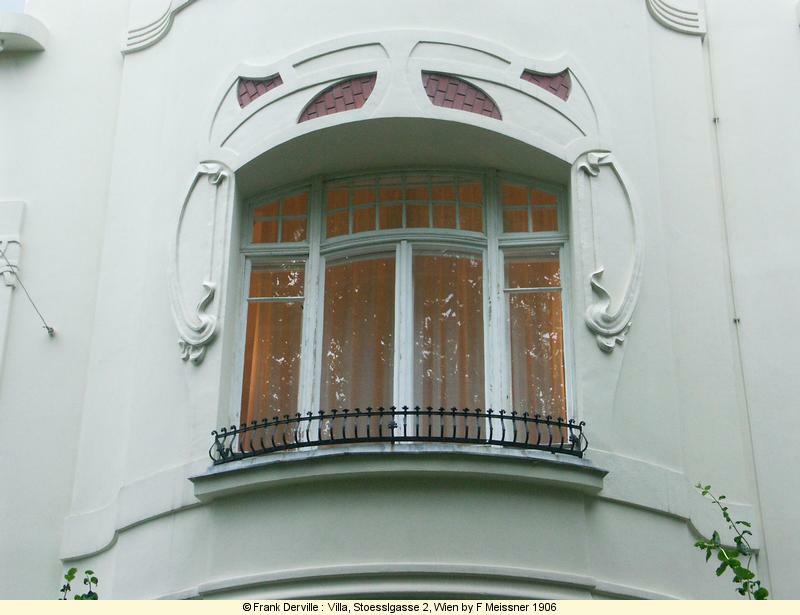 Nevertheless every detail have been designed by the architect including balconies (see below) and door handles. 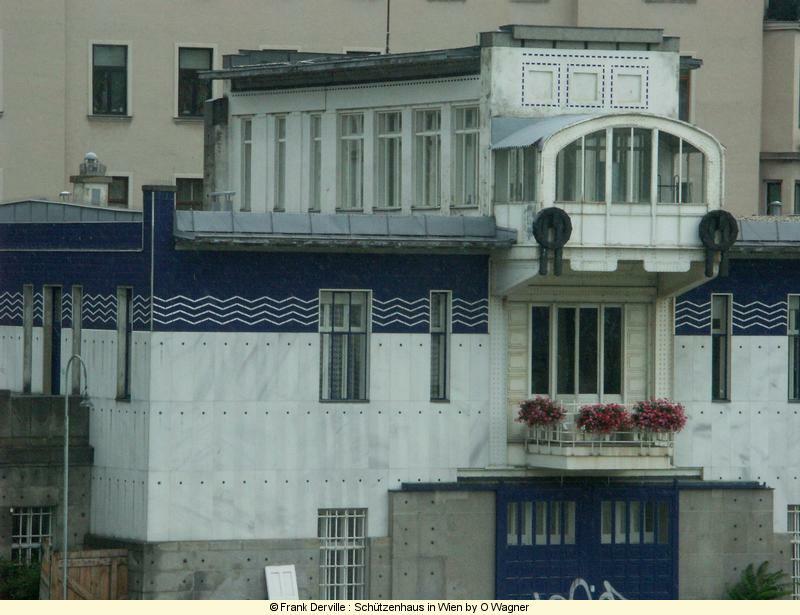 This building wich was intended to be an exhibition building for the Secession movement is now a museum. 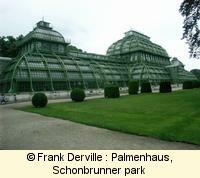 It was completely destroyed during WWII and was rebuilt in the 1980ies. 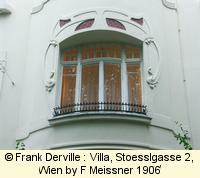 These two houses have a strong Belgian influence . 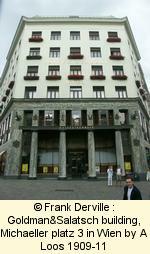 Josef Plecnik has also built numerous buildings in Prague. 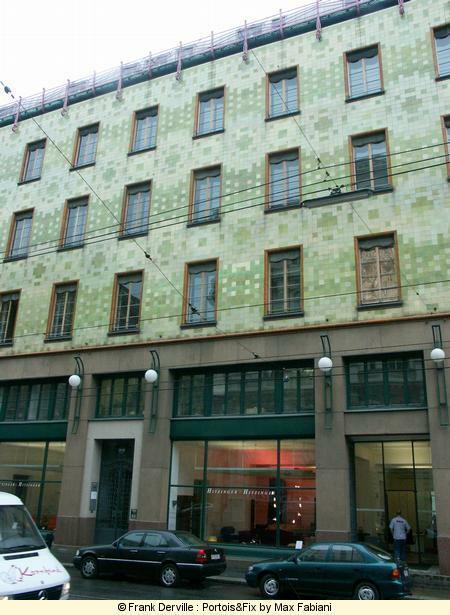 Terminate this page with Adolf Loos seems logical as he fought vigourosly the excesses of the Secession style (tattoed buildings), the decoration of this building is much more rational : the two parts (marble and glass versus plain cement) distinguish the two functions of the building as an office and a flat. 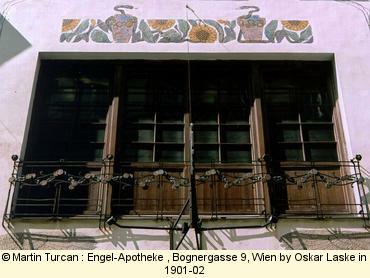 The house is just in front of the Burgpalace, but the empror said he always closed his curtains in order to avoid seeing it.